We’ve known for a long time that Deadpool (Ryan Reynolds) would be meeting up with his once and future X-Force team leader and “bosom buddy” Cable in Deadpool 2, so we weren’t too surprised when it was revealed that Domino, once and future X-Force teammate and Cable paramour, would be joining the party. 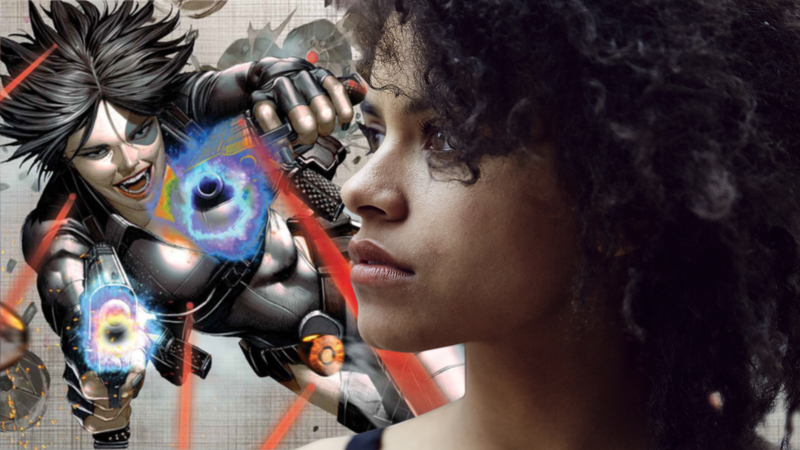 Now, thanks to Deadpool himself, we know that Zazie Beetz (Atlanta, Easy) will be playing the mutant with the power to alter probability — “good luck” for her, “bad luck” for enemies — in the sequel to the smash hit original. David Leitch (John Wick) will be directing Deadpool 2 from a script by Deadpool writers Rhett Reese & Paul Wernick and Reynolds and Drew Goddard. It is expected to start shooting in June and wrap in September, for a planned early-2018 release.